“Inspirational coach” movies come in many shapes and sizes. This one comes in the shape of Samuel L. Jackson, the tough talking, clean-living paragon of virtue who comes into a troubled school and turns around the basketball team in the teeth of indifference from pupils, teachers and … sorry, am I boring you? 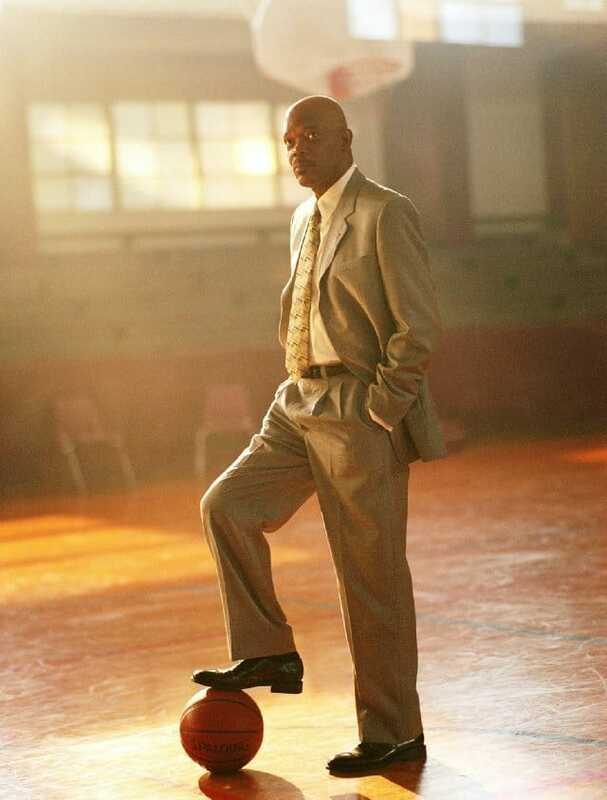 There’s a little more to Coach Carter than the usual sports movie fare. To whit: it is based on the true story of the coach who insisted his players properly knuckle down. He made them sign contracts. Controversially, he also insisted they got good grades in their other classes otherwise they were off the team. And outrageously, he closed the team’s gym when a couple of his players broke the terms of their contract – to the ire of the players and the local community who couldn’t understand what the fuss about book learning was anyway. Those nuggety taste-explosions of plot aside, there’s not much to see here. Apart from Jackson himself, who produces enough electricity to keep this bag of clichés going… almost. Trivia: Controversy surrounds high school basketball coach Ken Carter after he benches his entire team for breaking their academic contract with him.